YOUR PERSONAL GUIDE TO FASTING AND PRAYER BY BILL BRIGHT Fasting is the most powerful spiritual discipline of all the Christian disciplines. Through fasting and prayer, the Holy Spirit can transform your life. Fasting and prayer can also work on a much grander scale. According to Scripture, personal experience and observation, I am convinced that when God’s people fast with a proper Biblical motive-seeking God’s face not His hand-with a broken, repentant, and contrite spirit, God will hear from heaven and heal our lives, our churches, our communities, our nation and world. Fasting and prayer can bring about revival—a change in the direction of our nation, the nations of earth and the fulfillment of the Great Commission. The awesome power can be released through you as you fast through the enabling of the Holy Spirit. Fasting is one of the most neglected spiritual admonitions. In fact, it has been ignored for so long that it is difficult to find information on the “how-to’s” of this life-changing experience. When I first undertook an extended fast, I had a difficult time finding information on the nature of a Biblical fast, how to start, what to expect physically and spiritually, and how to terminate a fast. These pages are designed to answer your practical questions about fasting and ease any concerns you might have. In this series, you will learn: Why you should fast How to fast safely How long and what type of fast is right for you How to prepare yourself spiritually and physically How to manage your schedule while fasting How to deal with the responses of friends and loved ones How to make your spiritual experience the best it can be How to maintain nutritional balance and health from beginning to end (including specific juice and broth recipes) What physical benefits to expect How to finish your fast and return to your normal schedule in a HEALTHY way I want to be of help to you so I will be speaking to you from these pages at various points in the study. I have completed five 40-day fasts. I want to share with you what I have learned and what has helped me. Whether you hold a 1-day fast or an extended 40-day fast, I pray that our Lord’s most wonderful love and blessings will be poured out on you as you take this exciting step of faith. WHY YOU SHOULD FAST If you do not already know of the power and importance of fasting, here are some very important facts: Fasting was an expected discipline in both the Old and New Testament eras. For example, Moses fasted at least two recorded forty-day periods. Jesus fasted 40 days and reminded His followers to fast, “when you fast,” not if you fast. Fasting and prayer can restore the loss of the “first love” for your Lord and result in a more intimate relationship with Christ. Fasting is a biblical way to truly humble yourself in the sight of God (Psalm 35:13; Ezra 8:21). King David said, “I humble myself through fasting.” Fasting enables the Holy Spirit to reveal your true spiritual condition, resulting in brokenness, repentance, and a transformed life. The Holy Spirit will quicken the Word of God in your heart and His truth will become more meaningful to you! Fasting can transform your prayer life into a richer and more personal experience. Fasting can result in a dynamic personal revival in your own life—and make you a channel of revival to others. Fasting and prayer are the only disciplines that fulfill the requirements of II Chronicles 7:14: “If my people, who are called by my name, will humble themselves and pray and seek my face and turn from their wicked ways, then will I hear from heaven and will forgive their sin and will heal their land.” If you fast, you will find yourself being humbled as I did. You will discover more time to pray and seek God’s face. And as He leads you to recognize and repent of unconfessed sin, you will experience special blessings from God. HOW TO FAST SAFELY As you begin your fast, you may hear from concerned loved ones and friends who urge you to protect your health. And they are right. You should protect your health. But I assure you, if done properly, fasting will not only prove to be a spiritual blessing, but physical blessing as well. By all means, consult your doctor before you begin your fast. But, be aware that many doctors have not been trained in this area and so their understanding is limited. Even so, it would be wise to ask your doctor for a physical exam to make sure you are in good health. You may have a physical problem that would make fasting unwise or dangerous. Also, if you are under any type of medication, make sure you talk to your doctor before changing your regime. Prudence and caution are in order. When you are assured that you are in good health, you are ready to begin your fast.  Follow the guidelines in the Physical Preparations and Maintaining Nutritional Balance and Health parts of this website. In spite of the absolute safety and benefits of fasting, there are certain persons who should NEVER fast without professional supervision. For example: Persons who are physically too thin or emaciated. Persons who are prone to anorexia, bulimia, or other behavioral disorders. Those who suffer weakness or anemia. Persons who have tumors, bleeding ulcers, cancer, blood diseases, or who have heart disease. Those who suffer chronic problems with kidneys, liver, lungs, heart, or other important organs. Individuals who take insulin for diabetes, or suffer any other blood sugar problem such as hyperglycemia. Women who are pregnant or nursing. HOW LONG AND WHAT TYPE OF FAST IS RIGHT FOR YOU If you have never fasted before, I applaud your present interest! Fasting has been a major emphasis in the lives of many of the great spiritual leaders throughout history. John Wesley, the founder of the Methodist denomination, fasted every Wednesday and Friday and required all of his clergy to do the same. Effective ministers of God from the apostle Paul to Martin Luther to John Calvin made it a continual part of their walks with God. None of those men had a “formula fast” that was the only “right” way. Fasting is about the condition of the heart, not the number of days. Each time that I have fasted for forty days, it was because I felt impressed by God to do so. So, start slowly. Fast for one meal a day, or one day a week, or one week a month. Build up your spiritual muscles so that you will be prepared in a period of several months to fast for an extended 40 day period. THE BIBLE RECOUNTS PRIMARILY TWO TYPES OF FASTS A partial fast is described in the book of Daniel. Although the water fast seemed to be the custom of the prophet, there was a three-week period in which he only abstained from “delicacies,” meat, and wine (Daniel 10:3). I personally recommend and practice water and juice fasting, especially if you are going to fast for an extended period of time. This type of fast will provide you with more energy than absolute or water-only fasts and still lead you into the humbling experience of denying your desire for solid food that you can chew. When it comes to making your final decision about what type of fast is right for you, the best advise I can give you is to follow the leading of the Holy Spirit. He will guide your heart and mind as to what is best for you. Remember, the most important consideration in fasting is your motive. Why are you fasting? To seek something personally from God’s hand or to seek His face in worship, praise and thanksgiving? HOW TO PREPARE YOURSELF SPIRITUALLY AND PHYSICALLY SPIRITUAL PREPARATION In preparation for this special time with God, I strongly urge you to examine your heart, and detect any unconfessed sin. Scripture records that God always requires His people to repent of their sins before He will hear their prayers. King David said: Come and hear, all of you who reverence the Lord, and I will tell you what he did for me: For I cried to him for help, with praises ready on my tongue. He would not have listened if I had not confessed my sins. But he listened! He heard my prayer! He paid attention to it! Blessed be God who didn’t turn away when I was praying, and didn’t refuse me his kindness and love. (Psalm 66:16-20) In your prayers, confess not only obvious sins, but less obvious ones as well. The sins of omission as well as the sins of commission experiences. These may be experiences leaving your first love for our Lord: worldly-mindedness, self-centeredness, spiritual indifference, and unwillingness to share your faith in Christ with others, not spending sufficient time in God’s Word and in prayer, a poor relationship with your spouse, your children, your pastor, or other members of your church. Another great way to prepare for your fast is to practice what I call “Spiritual Breathing.” The concept is simple, but it has changed my own life and that of millions of others. Like physical breathing, Spiritual Breathing is a process of exhaling the impure and inhaling the pure. If you knowingly sin, breathe spiritually to restore the fullness of God’s Holy Spirit in your life. You exhale by confessing your sins immediately when you become aware of them, and you inhale by inviting the Holy Spirit to re-take control of your life. As an act of faith, trust Him to empower you. During the fast, spiritual breathing—constant reliance on the Holy Spirit—will enable you to resist temptation, not only to sin but to abandon your fast. PHYSICAL PREPARATION Although fasting is primarily a spiritual discipline, it begins in the physical realm. You should not fast without specific physical preparation. If you plan on fasting for several days, you will find it helpful to begin by eating smaller meals before you abstain altogether. Resist the urge to have that “last big feast” before the fast. Cutting down on your meals a few days before you begin the fast will signal your mind, stomach, and appetite that less food is acceptable. Some health professionals suggest eating only raw foods for two days before starting a fast. I also recommend weaning yourself off caffeine and sugar products to ease your initial hunger or discomfort at the early stages of your fast. HOW TO MANAGE YOUR SCHEDULE WHILE FASTING How long you fast, the kind of fast you undertake, and how you adjust your work schedule depends mostly on your occupation. Persons with office jobs, pastors, or homemakers may find it easier to continue their duties and fast for longer periods of time. In fact, on the basis of my personal experience, worldwide travels and the many letters, which I have received, I am confident that many, many thousands of pastors and lay men and women have already completed a 40-day fast! Though there are many who engage in strenuous physical labor and have enjoyed their extended fast, if you are so engaged, you may wish to fast only one or more days of the week, limiting yourselves to partial fasting if you are so engaged. Or you may look to weekends as the prime time to abstain from food. Remember, too, fasting during major holidays is not always a good idea. Families may be inconvenienced, and temptations to eat can be overwhelming. Reasons for schedule adjustments, especially during an extended fast, are two-fold… The first is physical. Throughout your fast, you may feel somewhat weaker than normal. During the first few days, you may feel tired and irritable. Lightening your workload and cutting down on strenuous exercise would be a very good idea to maintain your health and your morale. The second reason is spiritual. Fasting is not just denying yourself food. It is exchanging the needs of the physical body for those of the spiritual. Long times of prayer and reading God’s Word will be very essential if you are to enter into a more intimate communion with God to maintain your fast to its completion. While fasting, if you dissipate your energy on numerous errands or busy-work to the neglect of spending special time with God, you will starve both physically and spiritually. You will find yourself becoming discouraged and frustrated with your fast instead of being benefited and uplifted and blessed. I don’t want that to happen to you. The more time you spend with God in fellowship, worship, and adoration of Him, and the more you read and meditate upon His Word, the greater your effectiveness will be in prayer and the more meaningful your fast will be. So I encourage you to arrange your schedule accordingly! DEALING WITH THE RESPONSES OF FRIENDS AND LOVED ONES Many people are reluctant to tell others that they are fasting so they will avoid the sin of the Pharisees: fasting just to gain recognition for themselves. I strongly believe that attitude is a result of a wrong interpretation of our Lord’s teaching and that it is a trick of the enemy who does not want us to fast, nor to share with your loved ones, neighbors and friends the benefits of fasting. By isolating ourselves from the support of other Christians, we will be more susceptible to doubts and negative influences (both human and demonic). We need the prayer shield of our Christian friends and family members to help us continue when we feel alone and when the enemy tempts us to give up Our Lord as he did Jesus Christ. Eventually, people will notice you are not eating. However, I have found that unless you see them daily, they do not consider your skipped meal much of a concern. If you are asked, nonbelievers may be satisfied by such a brief answer as, “I have other plans for lunch today.” Or Christians should be satisfied when you answer that you are fasting today. If friends and family express concern for your health, ease their fears by telling them that you will stop fasting the moment you feel you are harming your body or if the Lord leads you to end your fast. Tell them you are fasting under your doctor’s care, which I urge you to do if you have any question concerning your health. There is usually no reason for telling strangers or casual acquaintances that you are fasting. If you do, they may subject you to a lot of questions that you may not want to answer. But in any case, use your best judgment and the Lord’s leading in telling people about your fast. HOW TO MAKE YOUR SPIRITUAL EXPERIENCE THE BEST IT CAN BE Receiving God’s best blessing from a fast requires solid commitment. Arranging special time each day with God is absolutely crucial in attaining intimate communion with the Father. You must devote yourself to seeking God’s face, even (and especially) during those times in which you feel weak, vulnerable, or irritable. Read His Word and pray during what were mealtimes. Meditate on Him when you awake in the night. Sing praises to Him whenever you please. Focus on your Heavenly Father and make every act one of praise and worship. God will enable you to experience His command to “pray without ceasing” as you seek His presence. As you enter this time of heightened spiritual devotion, be aware that Satan will do everything he can to pull you away from your prayer and Bible reading time. When you feel the enemy trying to discourage you, immediately go to God in prayer and ask Him to strengthen your resolve in the face of difficulties and temptations. The enemy makes you a target because he knows that fasting is the most powerful of all Christian disciplines and that God may have something very special to show you as you wait upon Him and seek His face. Satan does not want you to grow in your faith, and will do anything from making you hungry and grumpy to bringing up trouble in your family or at work to stop you. Make prayer your shield against such attacks. My major reason for fasting is for personal revival, revival for our nation, for the world and for the fulfillment of the Great Commission. But praying for our own needs and interceding for others are also important reasons to fast and pray. 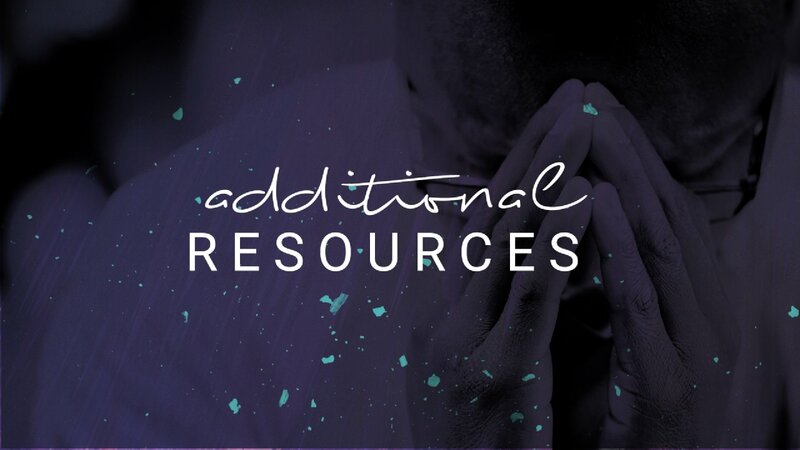 Bring your personal needs before the Lord, intercede for your loved ones, your friends, your church, your pastor, your community, your nation, and the world. By your prayers of humility, as you fast, you will help the Great Commission be fulfilled. However, do not become so caught up in praying for yourself and others that you forget about simply reverencing and praising God. True spiritual fasting focuses on God. Center your total being on Him, your attitudes, your actions, your motives, desires, and words. This can only take place if God and His Holy Spirit are at the center of our attention. Confess your sins as the Holy Spirit brings them to your attention and continue to focus on God and God alone so that your prayers may be powerful and effective. A renewed closeness with God and a greater sensitivity to spiritual things are usually the results of a fast. Do not be disappointed if you do not have a “mountaintop experience,” as some do. Many people who have successfully completed extended fasts tell of feeling a nearness to God that they have never before known, but others who have honestly sought His face report no particular outward results at all. For others, their fast was physically, emotionally, and spiritually grueling, but they knew they had been called by God to fast, and they completed the fast unto Him as an act of worship; God honored that commitment. Your motive in fasting must be to glorify God, not to have an emotional experience, and not to attain personal happiness. When your motives are right, God will honor your seeking heart and bless your time with Him in a very special way. HOW TO MAINTAIN NUTRITIONAL BALANCE AND HEALTH FROM BEGINNING TO END I know the prospect of going without food for an extended period of time may be of concern to some. But there are ways to ensure that your body is getting the nutrients it needs so you can remain safe and healthy during your fast. For an extended fast, I recommend water and fruit and vegetable juices. The natural sugars in juices provide energy, and the taste and strength are motivational to continue your fast. Try to drink fresh juices, if possible. Off-the-shelf juice products are acceptable, as long as they are 100% juice with no sugar or other additives. If you are beginning a juice fast, there are certain juices you may wish to avoid and certain ones that are especially beneficial. Because of their acid content, most nutritionists do not advise orange or tomato juice (these are better tolerated if mixed with equal portions of water). The best juices are fresh carrot, grape, celery, apple, cabbage, or beet. They also recommend “green drinks” made from green leafy vegetables because they are excellent “de-toxifiers.” Fruit juices are “cleansers” and are best taken in the morning. Since vegetable juices are “restorers” and “builders,” they are best taken in the afternoon. I usually dedicate a portion of my 40-day fast to a special liquid formula, which I have found to be effective over many years. A few recipes and my comments are on this page, as well as a helpful schedule. One gallon distilled water 1-1/2 cup lemon juice 3/4-cup pure maple syrup 1/4-teaspoon cayenne pepper. The lemon juice adds flavor and vitamin C, the maple syrup provides energy, and the cayenne pepper — an herb — acts to open small blood vessels which, I believe, helps the body as it cleanses itself of stored toxins. (A word of caution: although I use this formula with no ill effects, cayenne pepper could cause severe physical reactions in persons with a specific allergy to this herb.) My favorite juice is a mixture of 100% pure white grape juice and peach juice. The juice is available in frozen cans under the Welch label. Most knowledgeable nutritionists recommend: Watermelon — just put it in the blender without adding water Fresh apple juice Green juice — blend celery, romaine lettuce, and carrots in equal proportions. (Vegetable juices like this one are important, for they supply the electrolytes necessary for proper heart function!) Some nutritionists recommend warm broth, especially if you live in a colder climate. You may find their recipes helpful: Boil sliced potatoes, carrots, and celery in water. Do not add salt. After about a half-hour, drain off the water and drink. Gently boil three carrots, two stalks of celery, one turnip, two beats, a half head of cabbage, a quarter of a bunch of parsley, a quarter of an onion, and a half clove of garlic Drain off the broth and drink up to two or three times daily. You may find the following daily schedule helpful during your fast. I recommend you print it and keep it handy throughout your fast. 5:00 a.m. – 8:00 a.m. Fruit juices, preferably freshly squeezed or blended, diluted in 50 percent distilled water if the fruit is acid. Orange, apple, pear, grapefruit, papaya, grape, peach or other fruits are good. 10:30 a.m. – noon Green vegetable juice made from lettuce, celery, and carrots in three equal parts. 2:30 p.m. – 4:00 p.m. Herb tea with a drop of honey. Make sure that it is not black tea or tea with a stimulant. 6:00 p.m. – 8:30 p.m. Broth from soup. Another key factor in maintaining optimum health during a fast is to limit your physical activity. Exercise only moderately, and rest as much as your schedule will permit (this especially applies to extended fasts). Short naps are helpful as well. Walking a mile or two each day at a moderate pace is acceptable for a person in good health, and on a juice fast. However, no one on a water fast should exercise without the supervision of a fasting specialist. WHAT PHYSICAL EFFECTS TO EXPECT Although fasting can be an indescribable blessing, it is not always easy for everyone. In this time of discipline, self-sacrifice and reflection, do not be surprised if you experience mental and physical discomforts. To begin, you may experience some inner conflict when you deny yourself the pleasure of eating delicious food. Any sort of fast may sometimes leave you feeling impatient and irritable. During a 3-day fast, this struggle can intensify toward the end of the second day. That seems to be a favorite time for the “self” to rise up and say, “This is as far as I want to go. I have done enough.” PHYSICAL EFFECT Hunger Pangs: These are greatest usually during the first three days of the fast. Your body is adjusting from using the food in your digestive tract (which remains about three days) to consuming stored fats. Coldness, bad breath and heightened body odor, changes in elimination (constipation or diarrhea), light-headedness, changes in sleeping and dreaming patterns, aches and pains. A white-coated tongue at the beginning of a fast may be a part of the body’s pattern of throwing off toxins. Also expect to go the the bathroom often (you will be drinking lots of water!) After the first two weeks of an extended fast, many of these symptoms subside. Continuing aches in a certain area of the body usually means elimination of fatty tissue is going on in that area, which is not harmful. However, any extensive pain should be examined immediately. YOU SHOULD STOP FASTING IF YOU ARE EXPERIENCING SEVERE PAIN OR SWELLING. Headaches or stomachaches may be a result of salt, sugar, or caffeine withdrawal. Lower back pain may indicate that you are dehydrating. Drink more fluids. Dizziness may be caused by a sudden change in position, such as rising suddenly from a chair. Stop for a second or two, then recover. Move slowly. (A word of caution: these conditions may be symptoms of other problems requiring medical attention). In my desire to be absolutely faithful to my first 40-day fast, I stopped taking my usual vitamins and minerals. However during subsequent fasts, I have felt strongly impressed to continue my vitamin and herbal therapy and also using psyllium. I do this to keep my “temple” healthy while continuing to deny myself the pleasure of eating solid food. During your fast, you may have your struggles, discomforts, spiritual victories, and failures. In the morning you may feel like you are on top of the world, but by evening you may be wrestling with the flesh-sorely tempted to raid the refrigerator and counting how many more days are left in your fast. This is especially true if you are new at fasting. To counteract temptations like these, take extra time with the Lord to spend with God. Step outside for fresh air and a moderate walk of a mile or two, and talk to the Lord as you walk along. And in the process always keep on sipping water or juice frequently during your waking hours. HOW TO FINISH YOUR FAST IN A HEALTHY WAY All the experts agree that “breaking the fast” is the critical phase of fasting. While your body is in the resting mode, your stomach shrinks and your intestines become idle, so solid food must be re-introduced very slowly to avoid kidney failure or digestive distress. In fact, after a 40-day fast, you should make a careful transition for at least three days before returning to eating meats or fats or normal foods. Further, if you end your fast gradually, the beneficial physical and spiritual effects will linger for days. But if you rush into solid foods, you may lose much of your deep sense of peace and experience physical problems such as diarrhea, sickness, fainting, and frankly even death in some cases, due to shock! Most experts agree that breaking a fast with vegetables, either steamed or raw, is best. Your stomach is smaller now, so eat lightly. Stop before you feel full. Stay away from starches like pastas, potatoes, rice, or bread. Also avoid meats, dairy products, and any fats or oils. Introduce them very slowly and in small amounts. In terms of resuming any sort of exercise routine, the advice is the same. Start out slowly, allowing time for your body to re-adjust to its usual regime. Read the original article at cru.org using the link below. 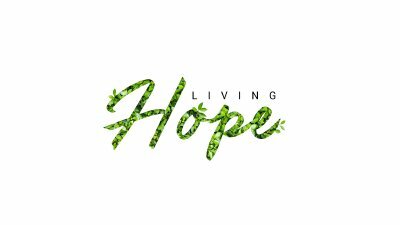 Because of the resurrection of Jesus, we have a living hope! This means that even when all seems lost and when hope seems dead, it's not over because Jesus conquered the grave. This Easter, Josh Copron, our lead pastor, reminds you that because Jesus rose from the grave, your story isn’t over! 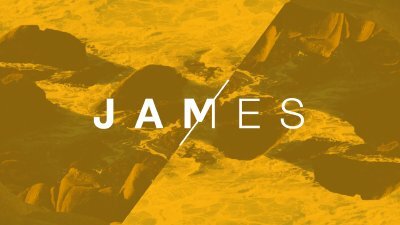 Josh, our lead pastor, wraps up our JAMES series teaching on "Problems + Prayer." In the sermon you'll hear the power we release in persistent prayer. 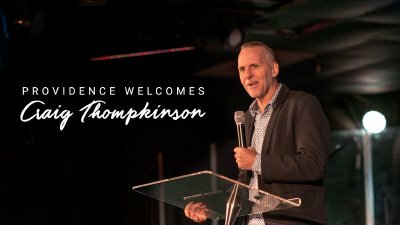 Providence welcomes Craig Thompkinson all the way from Australia! Craig is an insightful teacher who planted his home church 20 years ago and has pastored it ever since. This message is sure to leave you encouraged as Craig teaches on the power that is available to us through God's grace and Spirit.